Free Download Bengal - Game of Gods Game or Get Full Unlimited Game Version! Bengal combines arcade-shooter gameplay with intense matching action for the ultimate in gaming fun! In order to get advantaged of playing Bengal - Game of Gods full unlimiteg game version you must register the game. 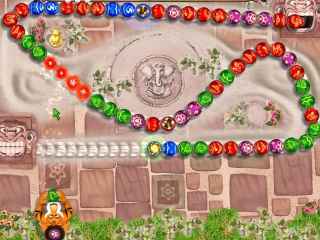 Move like a tiger as you take on chains of colored balls snaking around on dynamic paths. 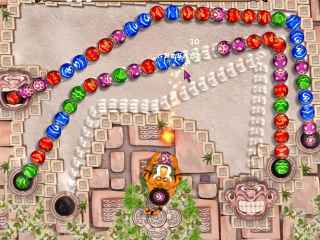 Twisting tracks and wild surprises await you... only quick thinking and lightning fast reactions will let you score big and master each level. The degree of difficulty will increase with every finished level and you will need to react even faster! Bengal combines arcade-shooter gameplay with intense matching action for the ultimate in gaming fun! Changing Ball Paths And Environments! Arcade Shooter With Intense Matching Action!